This is our flagship project which entails providing energy efficient clean cook-stoves to communities in areas with active tourism activities. To ensure effective implementation and delivery of this project, we have partnered with relevant suppliers and clean energy experts. We serve rural communities in key tourist attraction areas, most of whom are still almost entirely dependent on wood fuel which is associated with several health problems and also known to be one of the leading causes of deforestation. Why clean energy as the main project? We are committed to eradicating Household Air Pollution (HAP) which is a major cause of serious diseases and deaths world over, especially in the Sub-Saharan Africa. And we believe that genuine sustainable tourism is an unexploited avenue through which we can achieve this end. By so doing, we also aim to achieve biodiversity conservation and restoration by eradicating dependency on solid fuel, such as firewood and charcoal, which is one of the principle causes of deforestation. This, supplemented with our tree planting initiative, is also aimed at increasing our forest cover. According to World Health Organisation Indoor Air Pollution Health Impacts Report, HAP is responsible for nearly 3.2% (4.3 million) of global deaths and is ranked among the top five risk factors leading to deaths globally. HAP is also a substantial contributor to outdoor air pollution-related deaths due to emissions into the ambient environment, responsible for around 3.7 million deaths from ambient air pollution. HAP is associated with increased mortality and morbidity from acute lower respiratory infections (ALRI) among children, as well as from cardiovascular diseases, chronic obstructive pulmonary disease (COPD), eye diseases (cataract), burns (e.g. from children falling into fires, spilled fuel, etc.) and poisonings (mainly from children ingesting kerosene and inhaling carbon monoxide), and lung cancer among adults. Women and children may also be at risk for injury and violence during fuel collection and fuel gathering may take many hours per week, limiting other productive activities and taking children away from school. It is estimated that in Kenya, Indoor Air Pollution causes 15,700 deaths each year. This is over three times more than the national death toll arising from road accidents. 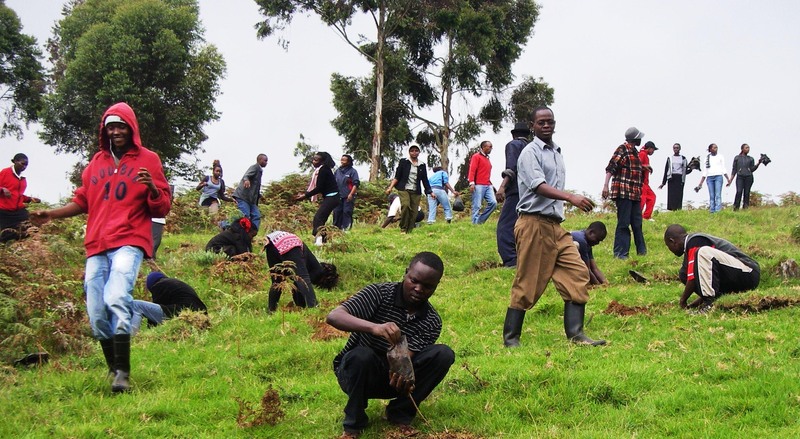 In partnership with the World Student Community for Sustainable Development (WSCSD), we are working with relevant student bodies in various institutions of higher learning to establish tree nurseries for our tree planting initiative. This is being supplemented with similar collaborative initiatives with community youth groups. The actual planting and nurturing of trees is done by community women and youth groups thus creating an additional source of employment hence sustainable livelihoods. A key distinguishing factor that sets apart our tree planting initiative from other similar initiatives is that our focus goes beyond just planting to taking the necessary steps towards ensuring the survival of the trees planted. To ensure the achievement of this, we do engage our community partners through a sustainable remuneration model. This remuneration model ensures that the trees planted are not forgotten and left unattended immediately after planting but taken care of to ensure survival, with the incentive being subsequent remunerations, based on the success and survival levels. Part of our revenue, and contributions from partners and well-wishers, is channelled towards the construction and stocking of libraries in selected beneficiary schools in the destination communities. 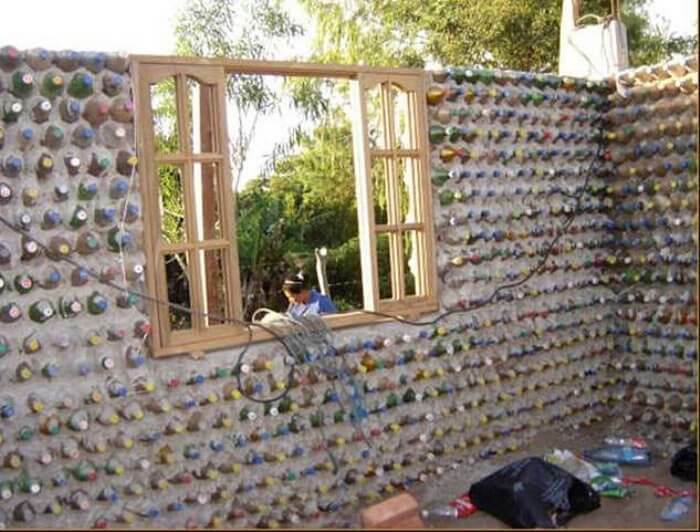 To achieve this, we have partnered with Green Brick Enterprises - an architectural and construction firm with experience in sustainable design and construction using waste materials such as waste bottles which forms our main building material.